Extensive laboratory grouting tests were conducted using ultrafine cement suspensions to evaluate the validity and reliability of groutability prediction formulas proposed by several researchers for the cement based grouts of soils. Initially, such basic rheological properties as setting time, viscosity and stability of ultrafine cement suspensions with or without dispersive agent were studied. Next, the penetration performance of suspensions into various graded medium to fine sand specimens prepared at different relative densities was investigated. 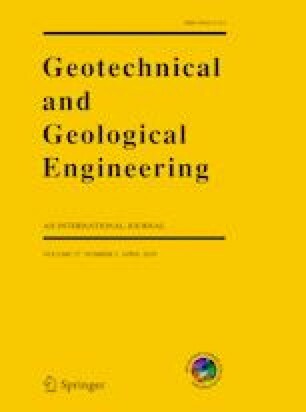 Finally, the grouting test results were compared with those obtained from groutability prediction formulas and it was found out that the proposed prediction formulas could not be used as a sole and exclusive criterion to predict the groutability of soils.